On 22 Jun 2017, NUS HiFES invited Wallace C.H. 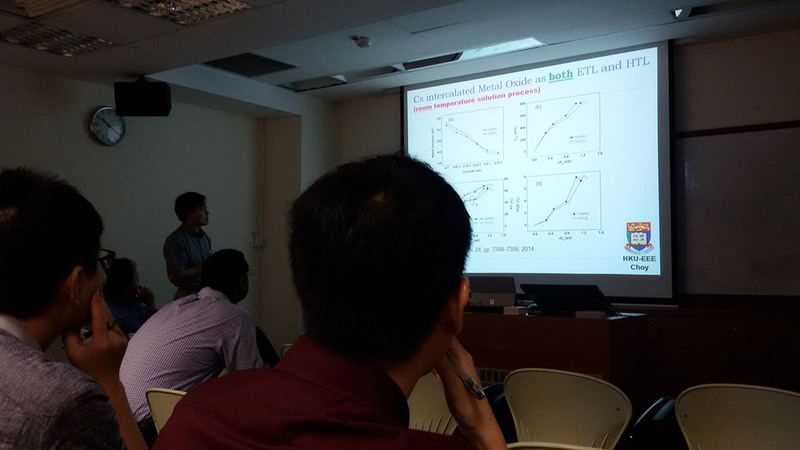 Choy, the professor from the Department of Electrical and Computing Engineering of The University of Hong Kong to share his recent study on the New Schemes of Room-Temperature Solution-Processed Metal Oxide Semiconductors and Transparent Flexible Electrode for High Performance Optoelectronic Devices at the Faculty of Engineering in NUS. 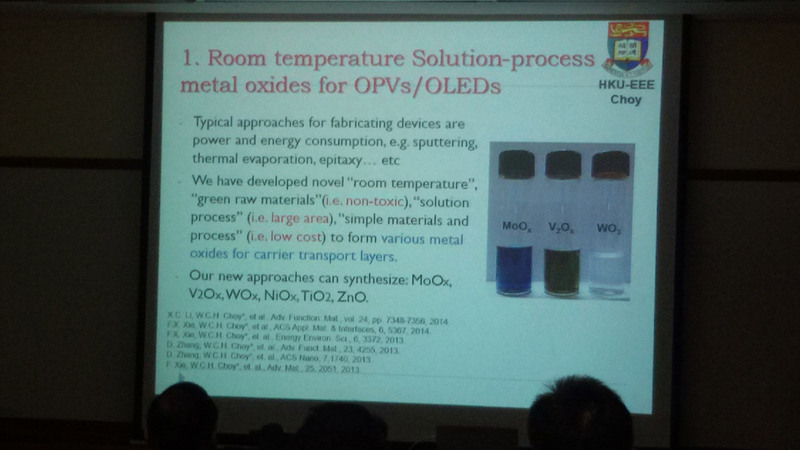 The team proposed and demonstrated several low-temperature solution-processed approaches for forming transparent and efficient metal oxide-based carrier transport layers including electron and hole transport layers. With the incorporation of metal nanoparticles, the electrical and optical properties could be enhanced. 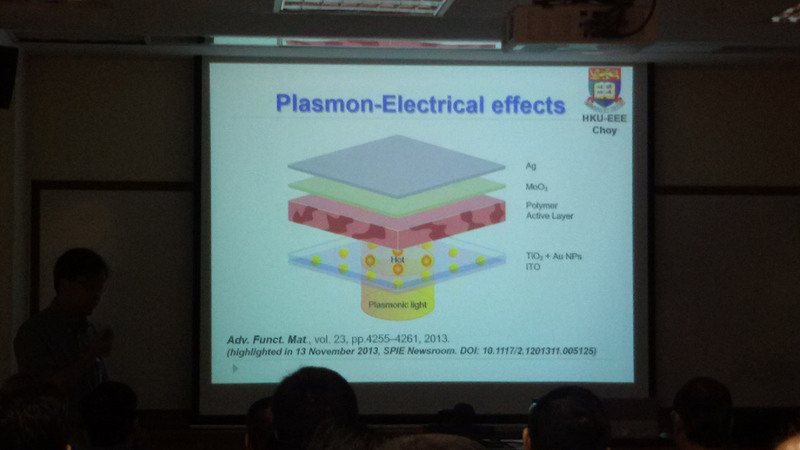 The interesting features of the novel carrier extraction layers are low temperature, solution process and water free for high performance optoelectronics such as OSCs with power conversion efficiency (PCE) of 10.5%. 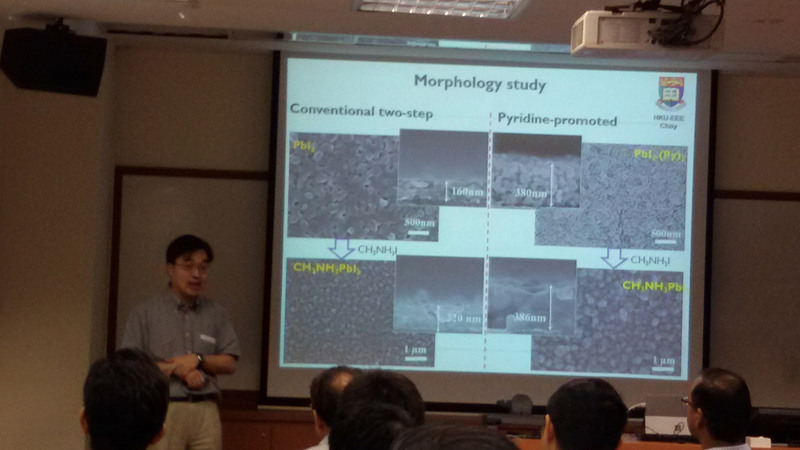 They also developed some room-temperature processed Ag nano-network which can serve as transparent flexible electrodes. 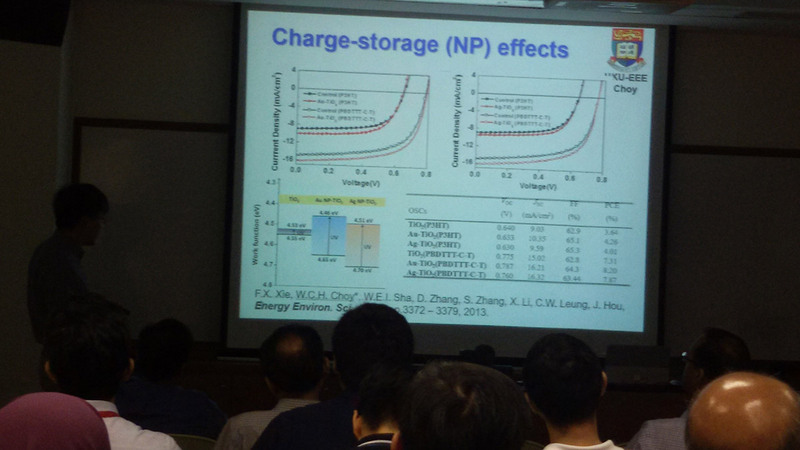 With the knowledge of solution processed organic and inorganic materials, different approaches for highly stable and efficient perovskite SCs were proposed with no hysteresis and most recent PCE of 20.5%. Prof. Choy has been recognized as the Top 1% of most-cited scientists in Thomson Reuter’s Essential Science Indicators (ESI) in 2014, 2015 and 2016. He has been named as prolific researcher on organic solar cells in the index (WFC in physical sciences) in Nature Index 2014 Hong Kong published by Nature. He has published over 170 peer-reviewed journal papers, contributed to one book, seven book chapters, US and China patents. He has served as Editorial Board Member for Nature Publishing Group of Scientific Reports and IOP J Physics D, senior editor of IEEE Photonics Journal, topical editor of OSA Journal of the Optical Society of America B, and guest editor of OSA Journal of Photonic Research, and Journal of Optical Quantum Electronics. He is a fellow of OSA and a senior member of IEEE.